Remote monitoring system for torque limiting couplings. 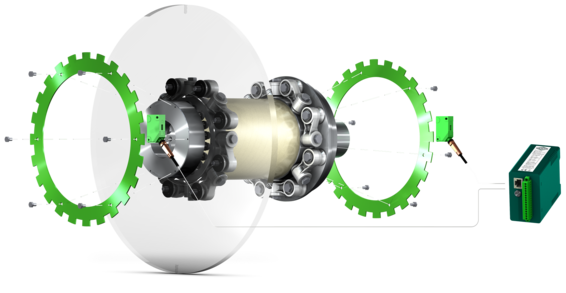 The surveillance of slip angle by CENTA TLMS allows the detection of occuring loads on a torque limiting coupling. By comparison of the recent loads and critical values of the coupling, the necessitiy for an exchange and the maintenance of the complete unit can be optimized. The system has specially been design for the application in demanding environments such as wind turbines.